Printed with the date on the top, the menu does actually change daily, demonstrating the commitment shown by the Edwards brothers (James and chef Giles) to keeping nimble and adapting to seasonality of produce and seafood. It’s a perfunctory sheet of options that simply lists single ingredients – and what arrives is often just that. But boring and plain it never is. 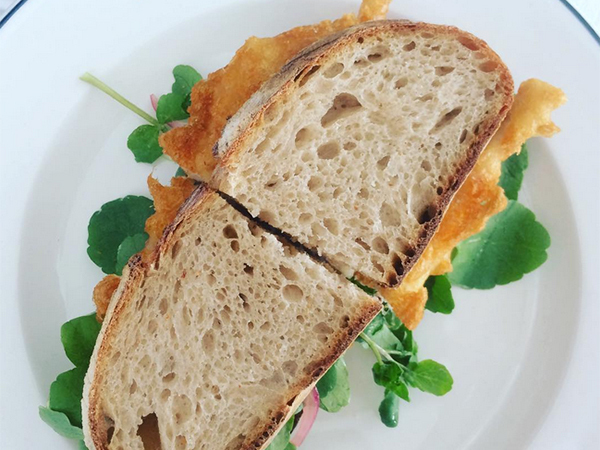 Anything with seafood will be a winner, whether it’s the mussels, leeks and bacon; salted hake with jammy eggs on sourdough; deservedly famous fish sandwich; or a tangle of octopus salad. Heavier options might include ox heart with little gem and mustard; a beautiful little roasted quail with aïoli; and brains on toast with a bright, acidic vinaigrette to cut the richness. 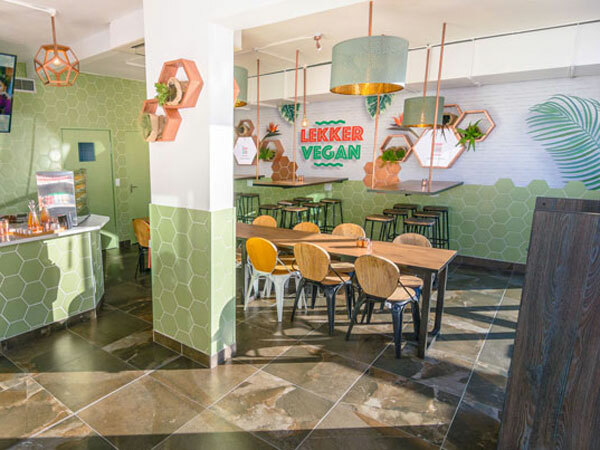 Be sure to order a few plates of sides like zingy cauliflower cheese or various salads of tossed and dressed greens or beans with blue cheese, charred onions, herbs and more. For dessert, it’s impossible to resist the madeleines once their aroma wafts your way, but you would be equally satisfied by lemony tarts, panna cotta or fresh profiteroles – absolutely delicious mouthfuls of warm pastry, cold ice cream and hot chocolate sauce. Simply splendid. Boutique wines and some craft spirits, with a few options by the glass to keep the lunchtime crowd happy. 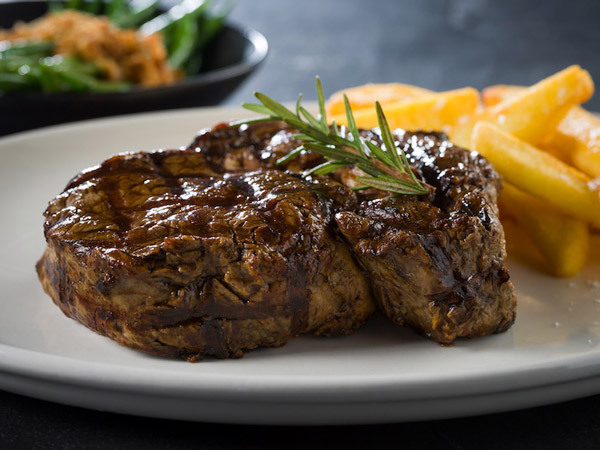 Waiters are dressed smartly in aprons and deliver unfussy, brisk service. 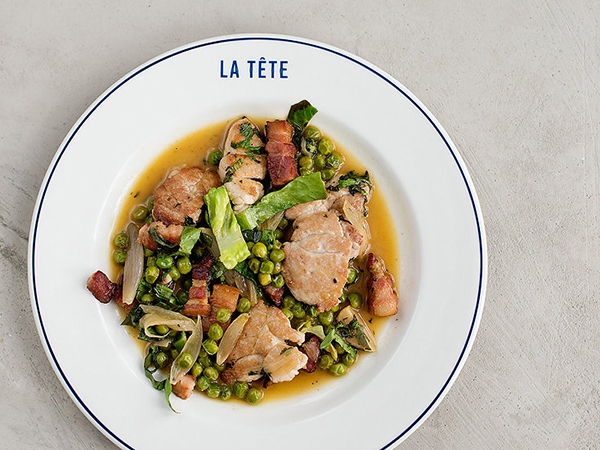 La Tete is confident to just be itself. The tables and walls are bare, ready to receive glassware, and the trademark branded plates are filled with simply delicious fare. The ever-changing bistro menu by Giles Edwards is short and sweet, with dishes sometimes needing explanation from the waiter. (What is in Celeriac, exactly?) Though some, like Brains on Toast, need no elaboration. If you’ve eaten here before, you’ll know to point to something and trust in the magic from the open kitchen. 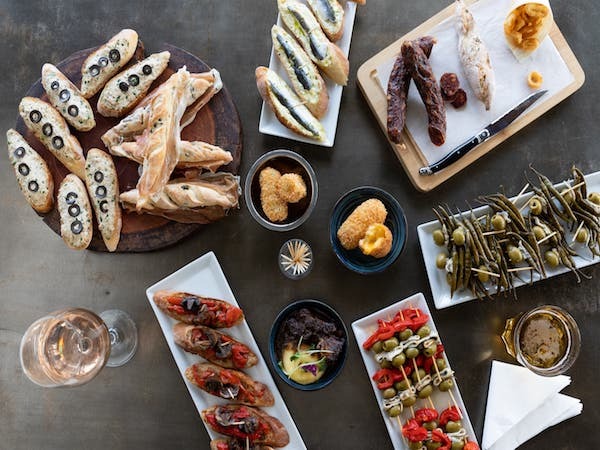 If the nose-to-tail philosophy doesn’t appeal, you have plenty of options – from roasted baby quail with tangy aioli to the famous octopus salad, to mussels with bacon, or the fish sandwich with eggy caper mayonnaise, which will make you weak at the knees. The grilled green beans with Karoo crumble might be your salad of the season, if not year – simple, exquisitely dressed, tangy and textured, it’s just utter perfection. If you want sides, there are chips and the comforting roasted cauliflower cheese. End on madeleines fresh from the oven, salted caramel tart or the floating island. Begin with a bubbly then choose a craft gin from the shelf behind the bar. Or allow the staff to suggest a glass of wine to match your dish from the carefully chosen selection of boutique local bottles. Very professional, top-drawer service. These are no amateurs. It’s probably the starkest restaurant you’ve ever eaten in, with nothing on the walls nor tables nor floor, but it works to facilitate zoning in on what’s on your plate. A palette of dark wood, grey and white make it a blank canvas for the elegantly simple dishes. 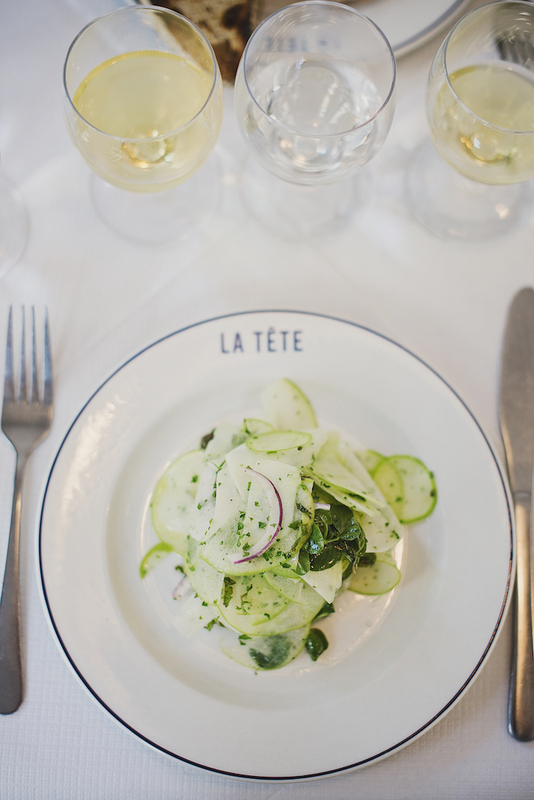 Printing La Tête on the plates was a masterstroke, as the dishes always seem to end up on Instagram. Very good food with excellent service. We started with the hake and aubergine which was absolutely stunning and very chic. For a main coarse we ordered the braised lamb and was a little concerned of the high price. It blew our minds, best Lamb I had in a very long time. Only let down was the coffee, not up to standard for this kind of restaurant. 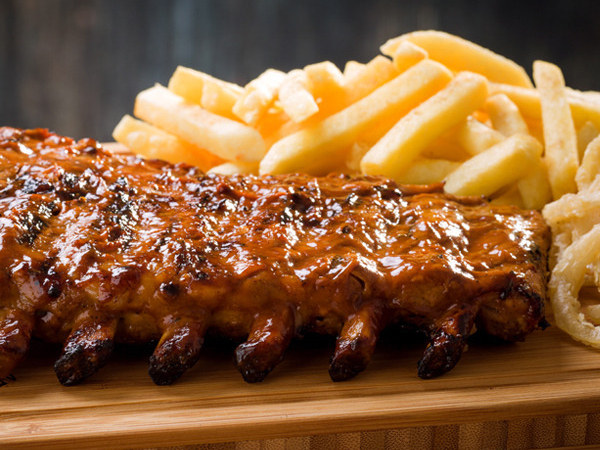 Quite simply the best restaurant in Cape Town. A menu based on seasonal and sustainable ingredients. Embracing off cuts and nose-to-tail philosophies. Deliciously put together with elegance and simplicity. The service is impeccable - passionate and knowledgeable staff. A personal attention to detail. One of the best wine lists I’ve seen complements it all. 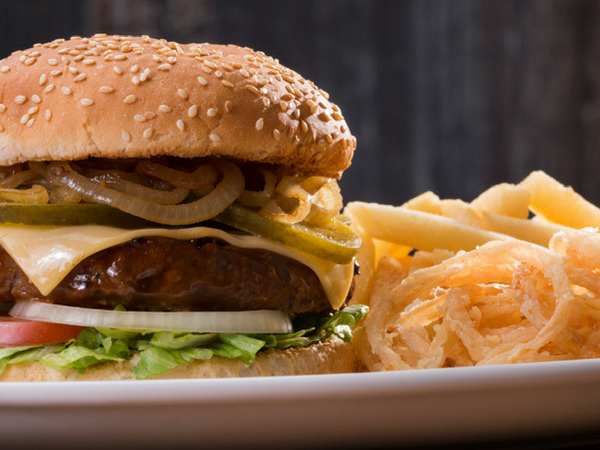 Come here to discover new ingredients, flavors and combinations. Or to revisit old firm favorites like the mussel, leeks and bacon, or the chicken liver pâté, or perhaps the lamb brains on toast. And no dinner is complete at La Tête without a few of the worlds best madeleines to cap off the evening! Bravo Giles Edwards and team! 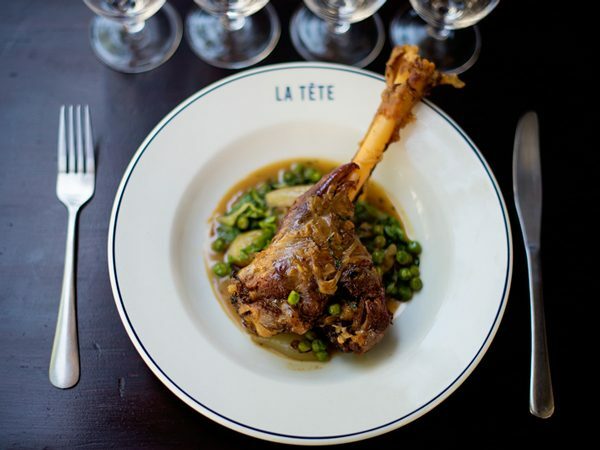 It’s always a delicious treat to go to La Tete. 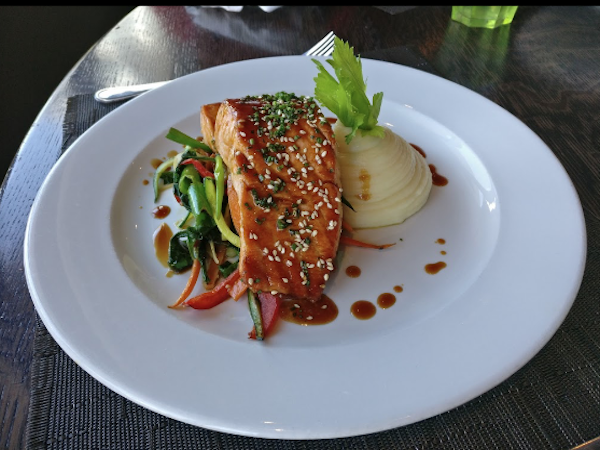 From the moment you walk through the door the staff, front of house, the wonderful Chef Giles and his team are attentive and friendly. My favorites on the menu the fresh vegetables; roast quail; and mussels with bacon and cider. It’s a good idea to mix and share starters. Mains - any slow roasted lamb or fish of the day. Wonderful desserts... always. The Wednesday specials on currently is a win. 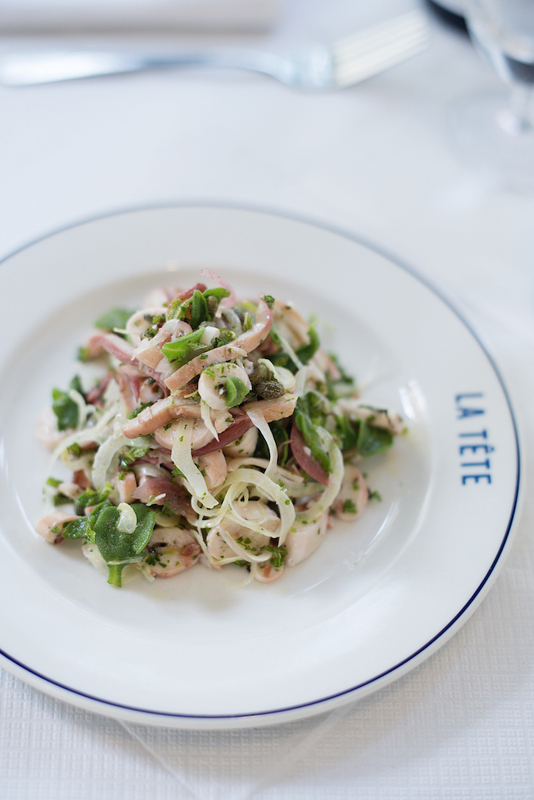 Love the food at La Tête - every morsel is tasty. We enjoyed a pile of starters and shared them and then had seconds. Tried the duck liver parfait which is incredible. The mussels and bacon scrumptious. Also tried the octopus salad, the green beans, broccoli and the brussel sprouts. I could happily eat several bowls of the brussel sprouts for dinner every night. They are my absolute favourite. This restaurant really knows how to prepare veg. And their Madeleines to end the meal are the best I've ever had. Deserves spot in the top 10 - unfussy, delicious and great quality food. Delicious, classical French cooking! We had the chicken liver parfait and mussels to start- both of which were delicious! We both had the succilent roast quail and beautiful golden frites for mains. The restaurant also has a well chosen wine menu. Thank you, La Tête chef and staff, for a wonderful experience. Cannot wait for another opportunity to experience your honest, delicious food, and your warm, easy service. Keep it up. Mwa. Incredibly good every time. The food is delicious, but it's the wine that I keep dreaming about afterwards. Always a treat to visit. 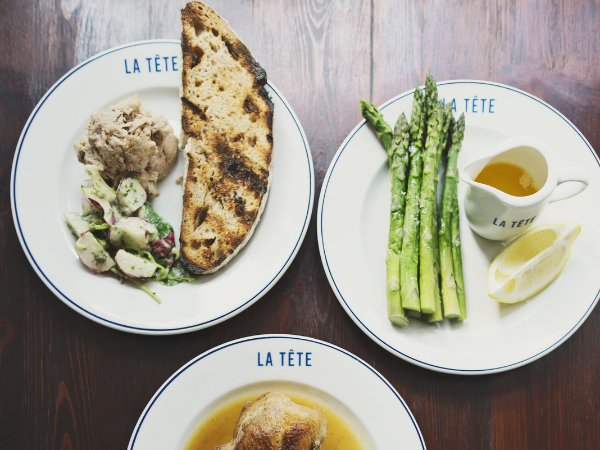 La Tete made me finally relate to all David Lebovitz's Paris kitchen stories. If you're unfamiliar with the name, Google it, but more than that, make a booking at the restaurant. 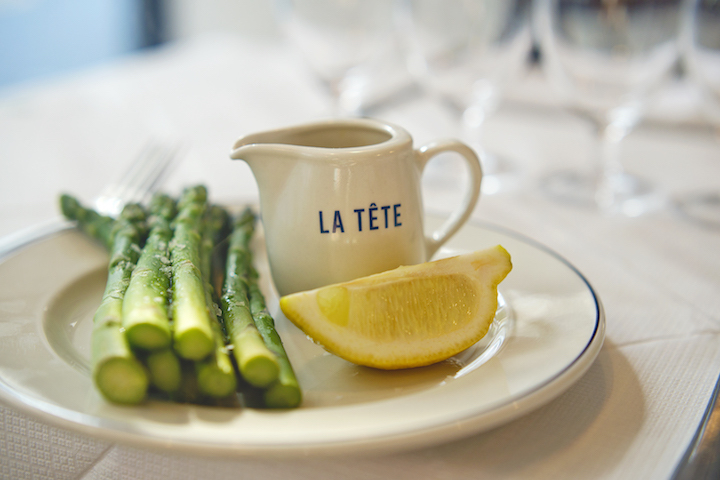 It is the perfect combination of all-white interiors, attentive yet not overbearing service and food that's rich with flavour, well presented on the iconic La Tete plates - ideal for your Instagram snap. Order a few different plates and share. We tried the salty hake, chicken hearts, mussels, green beans & brussel sprouts, paired with a good wine selection. 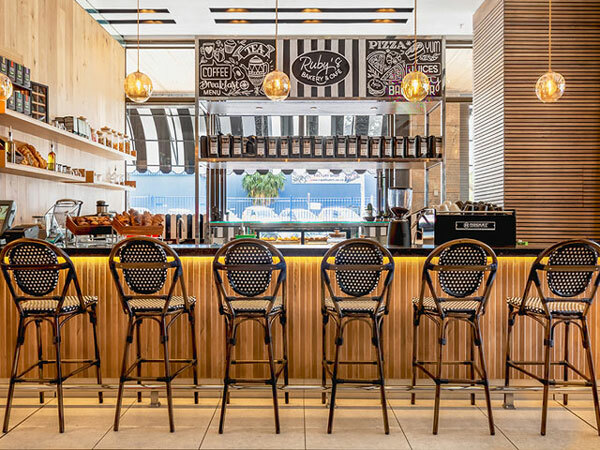 It's everything you want from a Parisian-style eatery. Much has been written in the media on 'La Tete'. 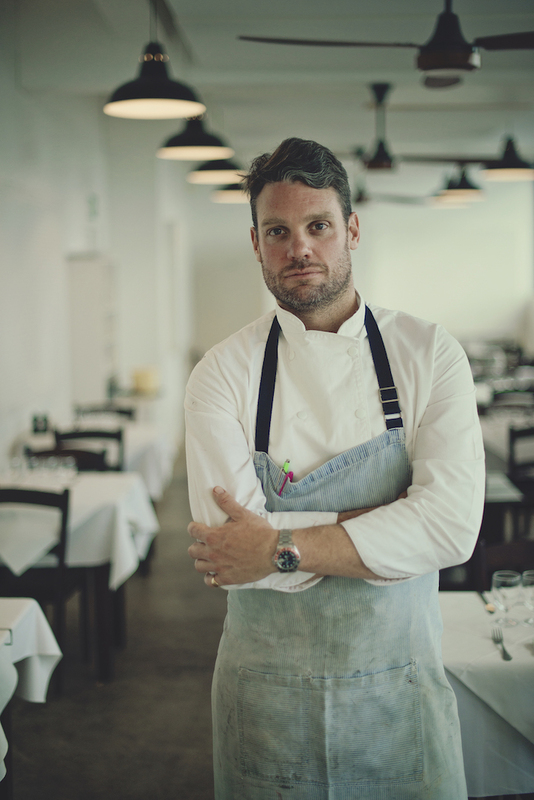 Giles Edwards and the kitchen team, as well as the front of house staff run an impeccable calm oasis - a venue that brings back memories of 'St.John' London. If you can't be in Britain, to experience the culinary talent and innovation there, we have the sophisticated simplicity of this venue right here. We have heard much about 'Nose to Tail' and 'Field to Fork', and here, with its daily changing menu including a very good value 'Plat du Jour', one enjoys superb cuisine, well sourced, and suited to those looking for clean flavours, fresh seasonal produce, and all that is written about and not always produced. A haven on Bree Street, well worth seeking out. Had a fun girls night out.Loved the simplistic white decor.The wine list was carefully chosen,I do prefer a long stem wine glass though.The staff were friendly and service excellent.The starters were good,the bean salad tasty,though the pig's trotters were quite salty.The mains were sadly all together disappointing,considering what I'd been expecting after all the rave reviews.The ox heart came out cold and the duck breast was tough.The fish was well prepared but lacked the depth of flavour that the menu promised.The dessert made up somewhat for the let down of the mains.The madeleine's were fluffy and smelt of a fond childhood memory and the salted chocolate tart was as promised,rich and delicious.Not entirely what I'd hoped for but definitely potential. 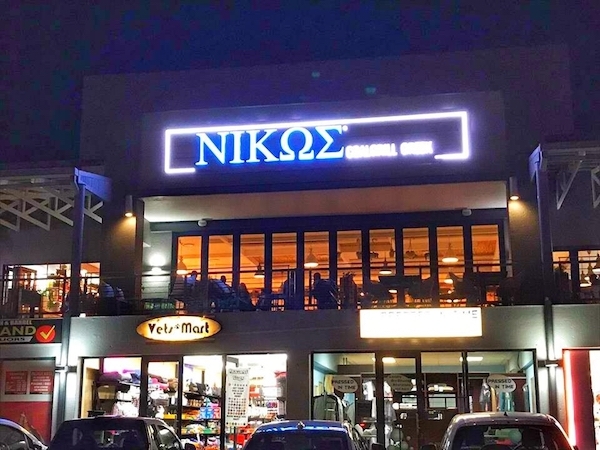 An excellent night out - we enjoyed fantastic, friendly service. The food is delicious - a good variety of flavours but we particularly enjoyed the mussels, leeks & bacon as well as the pig's tails. The veggies that accompany the mains were a big hit - the brussel sprouts in particular were delicious. And the celeriac salad is not to be missed. Will definitely return and can't wait to try the lamb shoulder for 4.